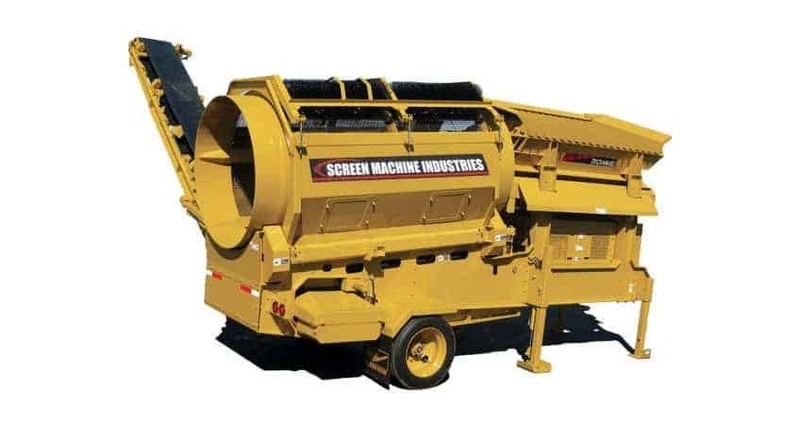 Screen Machine products are manufactured with USA-made Grade 80 steel in key performance areas. This makes a significant difference in the longevity of the machine. Patented features, like our Remote Crusher Relief System™ and Smooth Start® screening system make these hard-working machines even more productive and reliable. A complete equipment line is offered to fit a variety of industry applications, all manufactured at our Ohio headquarters. Highway Equipment Company is the exclusive Screen Machine distributor in North Carolina, South Carolina, and Virginia. 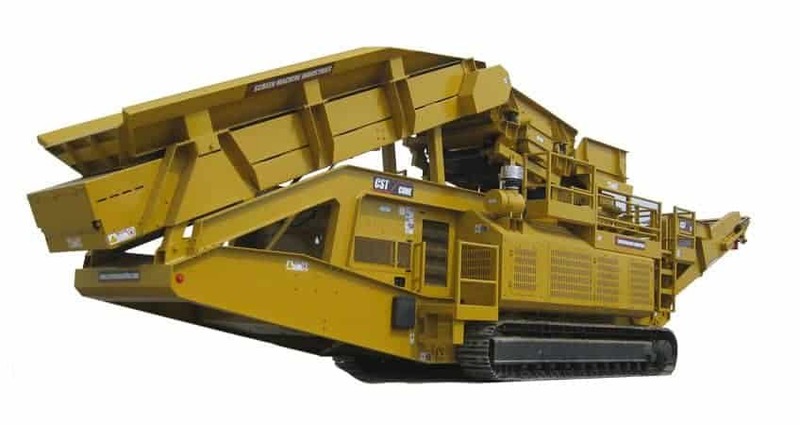 Track-mounted jaw crushing plants that are hard-working, durable and mobile. Track-mounted impact crushers with unmatched performance, durability and mobility. Including the 4043TR recirculating impactor. 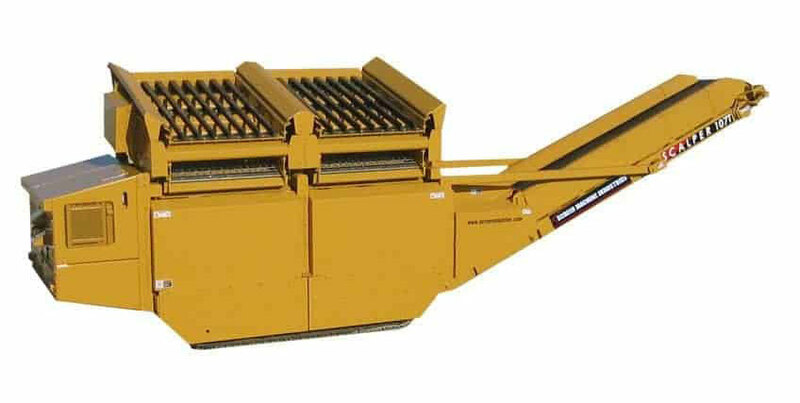 All Screen Machine impactors come standard with the patented Remote Crusher Relief System™. Track-mounted cone crushing plants are ideal secondary crushers for final sizing. Track-mounted Spyder screens provide a versatile solution to material processing. The 516T, 514TS and 514TS3 all come standard with the patented Smooth Start® technology. The Spyder 622TH and 514TS3 are equipped with three decks to produce up to four sized products. Screen Machine’s tracked-mounted and wheeled Scalpers come standard with the patented Smooth Start® technology and Dual Screen box design. Track-mounted and wheeled trommels are ideal for removing debris from sand and topsoil. Available with Screen Machine’s patented Hammermill Shredder. 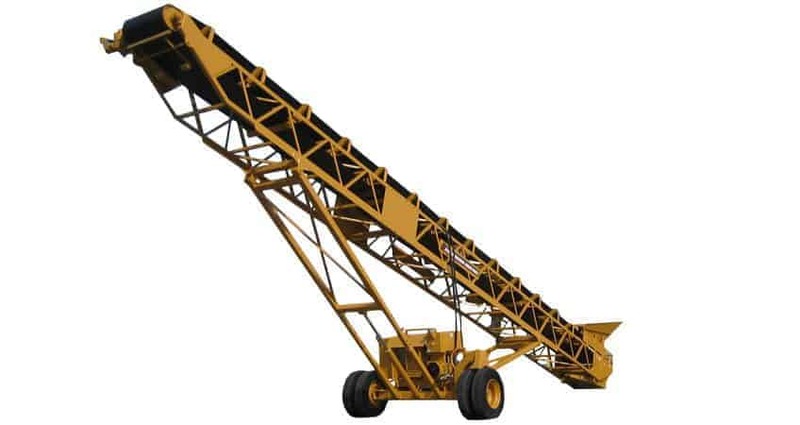 Moving processed material via conveyor is cheaper and more efficient than driving it around the job site. Most are available with your choice of hydraulic or electric operating systems.